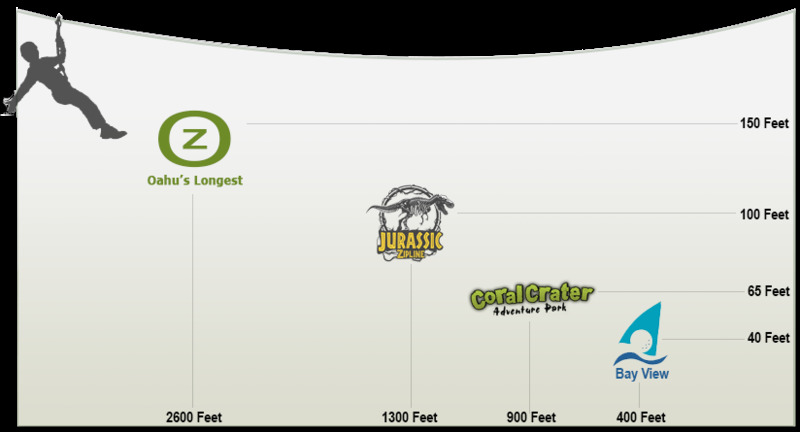 Please note that this Oahu Zipline Comparison Chart cannot take into account all of the factors to consider when choosing a zipline. For example, it might interest you that Kualoa Ranch is the filming location of Jurassic World; that the North Shore Zipline includes an ATV ride through a working farm; or that you can play mini-golf after ziplining at Bay View. 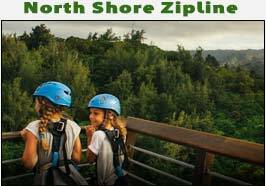 As zipline experts we can say that you can’t go wrong with any of these Oahu Ziplines. Each of these ziplines is operated with great customer service, consistent maintenance, and a focus on safety. 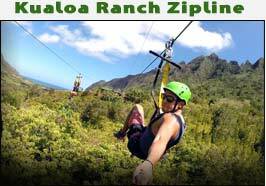 Still Having Trouble Deciding on an Oahu Zipline? 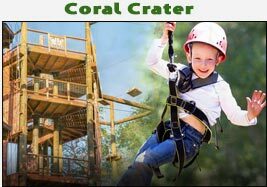 We suggest that you don’t rely on reviews alone, since most reviews are written by people who have not been on the other ziplines and therefore have no basis for comparison. Check out our How to Choose an Oahu Zipline. 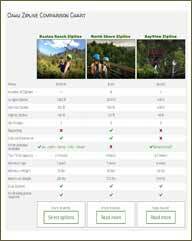 We go into depth about choosing which zipline is best for your needs. Whichever choice you make, we’re sure you will have a great time on your Oahu Zipline.